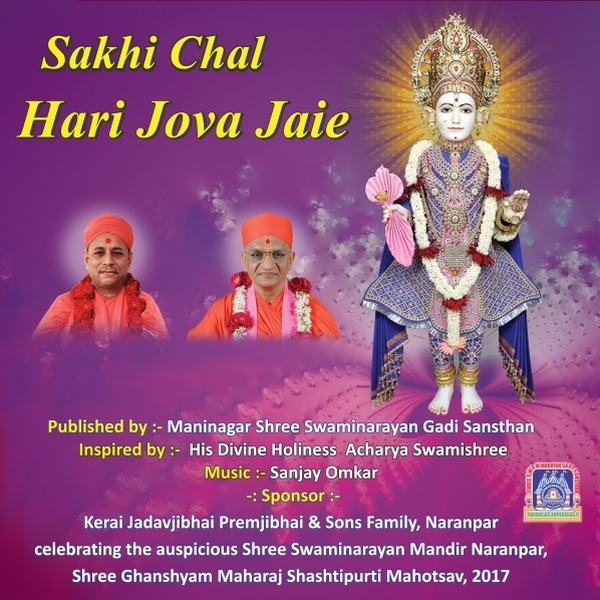 Released during the opening of Shree Swaminarayan Mandir Naranpar Shashtipurti Mahotsav, this CD of devotional songs enables a disciple to escape the mortal world and visualise the supreme Lord Shree Swaminarayan. Its title is, ‘Sakhi Chal Hari Jova Jaie’ – (My friend! Come to see the Lord). The musical director of this composition was Sanjay Omkar, of Bollywood playback fame.